Shake off the flour and wipe away the mess! Your holiday cooking routine just got a little more merry! 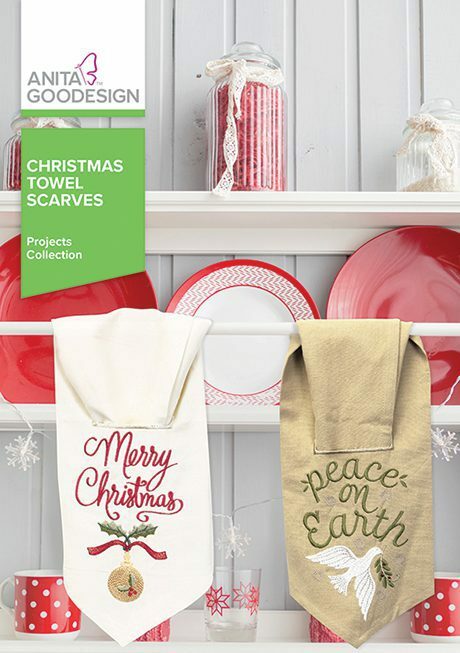 These Christmas Towel Scarves are just the thing for that extra holiday touch, and their functionality is an added bonus! Loop one of these festive linens over a bar or handle in your kitchen, tuck the excess material into the slot incorporated in every design, and your beautiful new Christmas towel scarf will be ready for display. The portion of the towel needed for wiping up hands or messes neatly drapes behind the embroidered front, keeping these designs both festive and functional. With 12 wintry designs to choose from, you'll be sure to find the perfect holiday scene or expression to make kitchen guests feel warm and welcome.